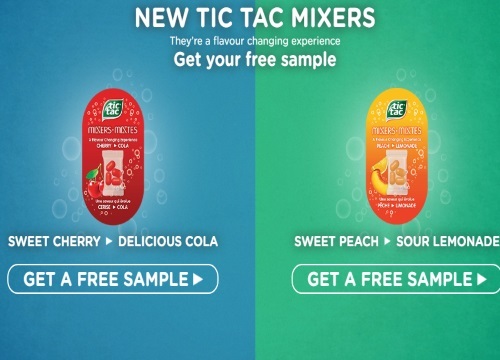 Tic Tac is offering Free Samples of their new Tic Tac Mixers! Click on the link below and scroll to the bottom to request yours! Choose from Sweet Cherry Cola or Sweet Peach Lemonade. There is a maximum of 40,000 samples up for grabs. Offer valid until July 15, 2016 or while quantities last. Allow 4-6 weeks for delivery. Red Flag deals said this is now over as limited reached.